We have very exciting news from the Einstein Bros. family! 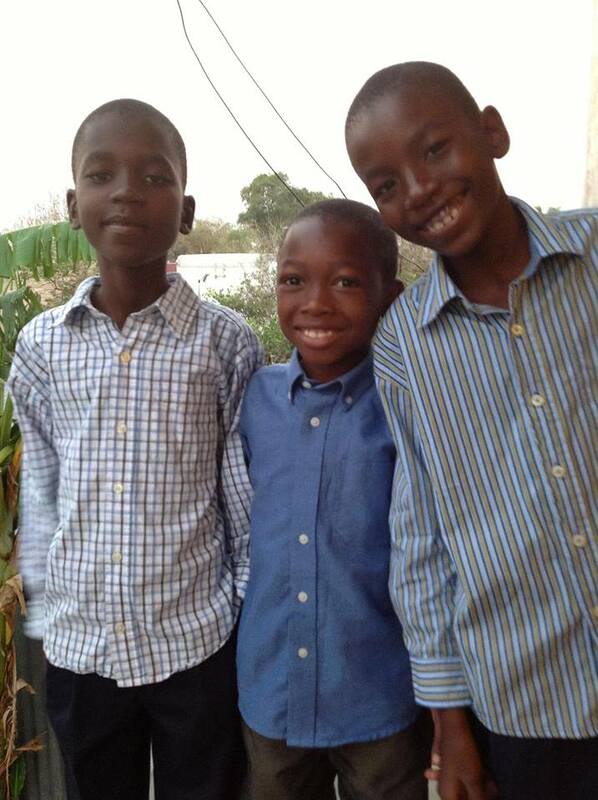 For the past three years, owners Jon and Yvonne Kidder have been in the process of adopting three beautiful boys from Haiti, and yesterday, Echlesias, Daniel and John Wistley finally came home. To celebrate, for the next week, Kids Eat Free during Happy Hour from 3-5 PM! With an adult meal purchase, they can choose from Pizza Bagels, Bagel Dogs, Grilled Cheese or PB&J. And all drinks are Half Off as well! Just mention this blog post to receive your discount. Our Photo Fan Winner, and Fantastic New Food! 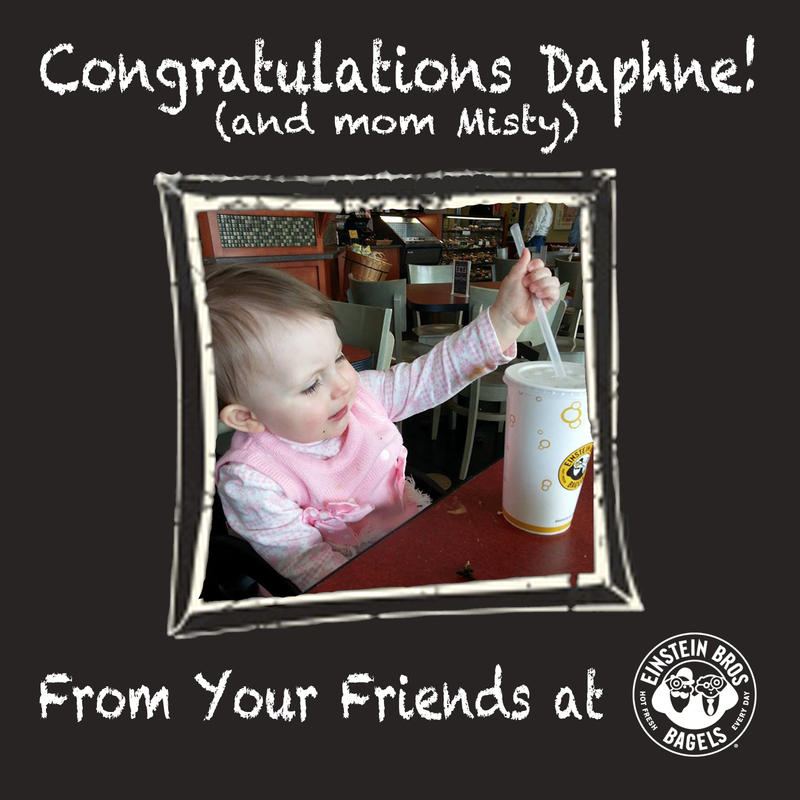 Congratulations to Daphne, and her mom Misti, for submitting the winning Photo Fan picture! Thanks again to everyone who submitted and voted, and be sure to check out all our other entries on our Pinterest board. We’d also like to offer you an online exclusive – now through March 17, Buy A Salmon Sandwich, Get One Free! It’s the perfect opportunity to try our new Honey Smoked Salmon sandwich. Just present the coupon below. Finally, St. Patrick’s Day is Monday, March 17. Celebrate with your friends and a six-pack of Iced Shamrock Sugar Cookies, now available in stores! 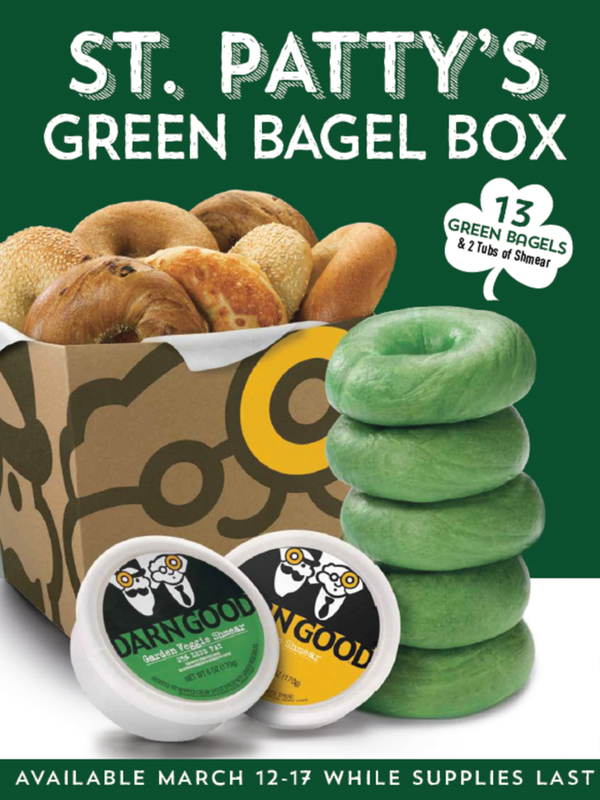 We’re also offering a St. Patty’s Green Bagel Box*, but with a savory twist – our Green Bagels will be available not only in Plain flavor, but also in Sesame, Everything, Onion, Garlic and Poppy Seed flavors! *Call ahead to ensure availability of your desired bagels. Take advantage of these special offers before St. Patrick’s Day is over.